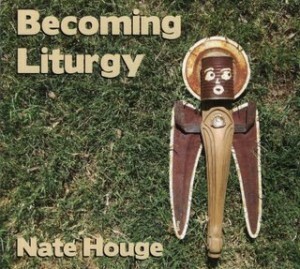 Becoming Liturgy is a collection of 28 original acoustic based liturgical songs. If you’ve seen Nate in a congregation or worship setting there’s a good chance you’ve sung a few of these songs with him. These songs come from a Lutheran perspective and tradition with an accessibility that lends them to a wide musical interpretation be it a praise band or an acoustic duo. Becoming Liturgy Songbook – All 28 lead sheets with chords and melody lines as well as tips and thoughts on how to lead the song in your congregation. Song Folders– Each song folder includes an individual lead sheet for the song (pdf), bulletin insert (.tif), lyric sheet (.doc), and power point (.ppt). Gather Word Meal Send Chart – When assembling a service this chart helps identify which songs fit where in organizing worship. In the spring of 2009 I started recording at Small Circus Studio in NE Minneapolis with Russel Munson at the helm and a wealth of talented friends at the ready. Over the course of days spread out over months we recorded these 28 songs.